James Carl Jordan, Jr., known and loved in his community by Jim or Jimmy, courageously ended his battle with cancer on March 25, 2019 at the age of 64. He was born on September 14, 1954 in Cleveland, Ohio to the late James Carl Jordan Sr. and Mozella Belin Jordan, who had temporarily relocated up north from their home of Sanibel Island, FL. The Jordan family decided to return to the island when Jimmy was three years old; hence, he and others considered him a lifelong Islander who was deeply rooted and attached to the place he and three generations of his family had called home most of his life. Jimmy briefly left to attend the University of Florida, from which he graduated with a Bachelor of Arts in Public Administration. After college, he returned to Sanibel and soon began what would become a long and successful career with the City of Sanibel’s Planning Department; he was promoted in 2009 to Planning Director and retired in September 2018. He was a member of St. Michael’s and All Angels Episcopal Church on Sanibel since its conception and served as a past member of the Church Vestry. 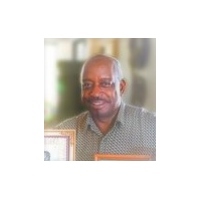 Jimmy also served his community as a member of the Foster Care Review Panel for the State of Florida and was a past board member of the Lee County Black History Society. Jimmy touched many lives with his captivating energy, contagious smile, and incredible sense of humor. His loss leaves a void that will be felt throughout the community, but even more profoundly felt by his family, his greatest joy in life. He will be dearly missed by his beloved wife of 40 years, Marguerite Jordan, two loving daughters Alicia and Angelica, son-in-law Jameson, granddaughter Amaya and grandsons Jameson Jr. and Jayden. He is also survived by his younger brothers Anthony and Timothy, his grandmother Regina Walker, and a host of aunts, uncles, cousins, nieces, nephews and many close friends whom he adored. He was preceded in death by his parents, brother Harry, and grandson Bradlee. A memorial service will be held at St. Michael’s and All Angels Episcopal Church on Sanibel Island on Friday April 26, 2019 at 5:00 PM. Condolences may be made to our website www.harvey-engelhardt.com.